Main Street in downtown Twin Falls, Idaho, stretches three blocks, lined with thrift stores and shuttered storefronts. And yet the area’s industry is thriving. Ten miles away, Chobani operates one of the world’s largest yogurt-processing plants. Clif Bar recently opened a 300,000-square-foot bakery. The region’s more than 300 dairy farms make Idaho the nation’s third-greatest dairy producer, after California and Wisconsin. Statewide, unemployment sits at 3.6 percent, well below the national average of 4.7 percent. 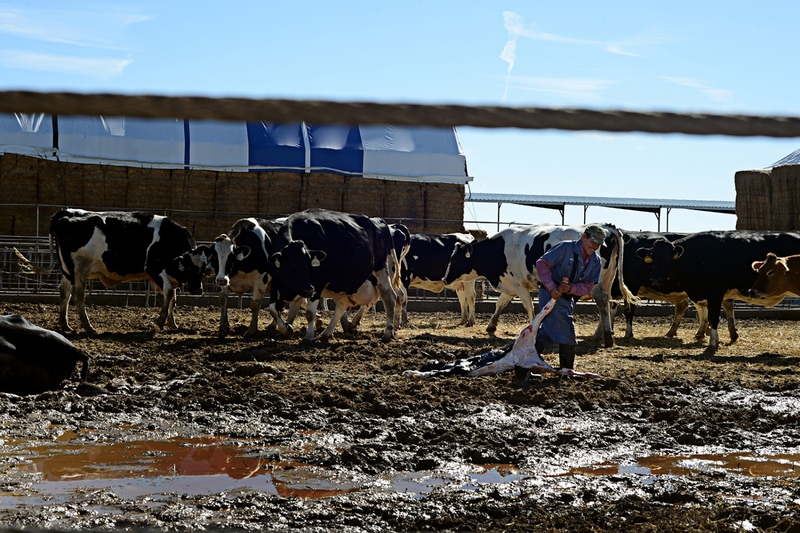 According to the Idaho Dairymen’s Association, 85 to 90 percent of dairy workers are foreign-born, and since 1993, farmers have turned to the College of Southern Idaho’s Refugee Center for labor. 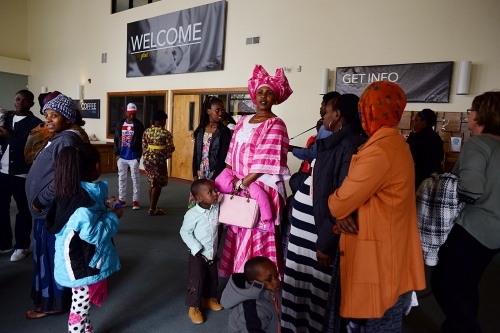 In 2016, Twin Falls, population 47,000, resettled more than 300 refugees, most from the Democratic Republic of the Congo, but also from Burma, Eritrea, Sudan, and Iraq. Because there is no public transportation and little street culture, they are seldom visible. 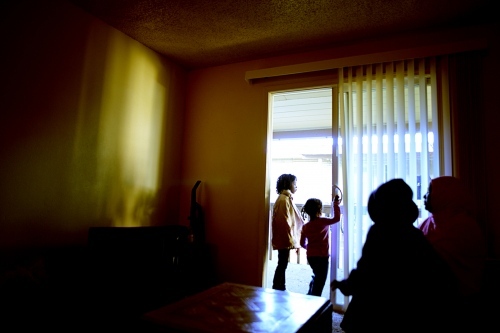 They experience America in cheap apartments, roadhouse kitchens, laundry rooms, and dairy barns. “If we can save American lives, American jobs and American futures, together we can save America itself," President-elect Donald Trump said last fall in a speech in Phoenix, Arizona. Yet, Mr. Trump’s plan, which prioritizes the deportation of undocumented immigrants and suspension of refugees arriving from terror-prone regions, where most refugees come from, could undermine the very promises he has made to improve the economy. Nowhere is this more the case than in Twin Falls, Idaho. Twin Falls, whose motto is "People Serving People" is a proudly conservative town polarized by immigration. Opponents of the town’s refugee resettlement program say refugees and immigrants threaten the town’s security, economy and culture. For advocates, national anti-immigrant agendas have distorted local realities. For farmers like in the third largest dairy producing region in the country, it’s simple - their livelihoods depends on foreign-born workers. 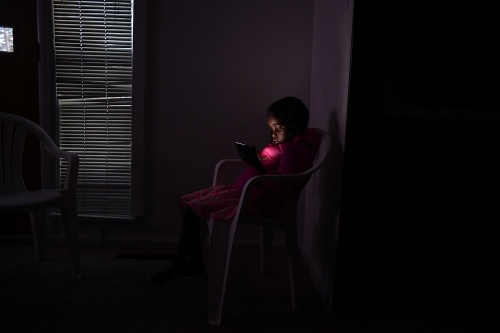 In 2016 African refugees (particularly the DRC), were the largest growing population according to the Refugee Processing Center, which has recorded all refugee arrivals since 2002. 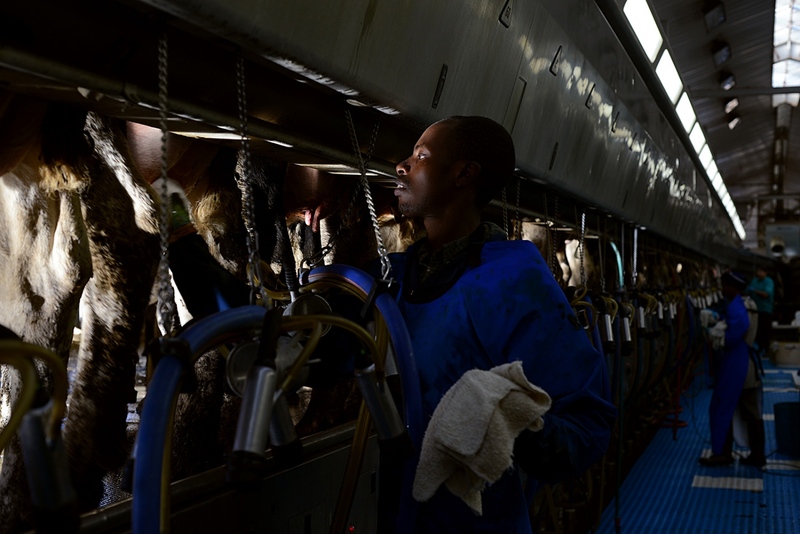 This photo story is a portrait of an American farm town from the perspectives of the daily lives of African refugees living and working in the dairy industry around Twin Falls. 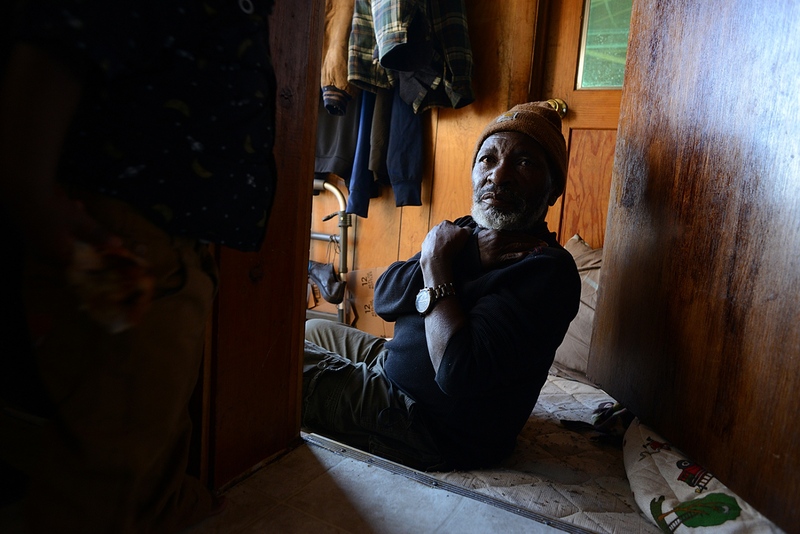 Their voices are vital, yet missing from the conversation concerning refugees and forced migration. 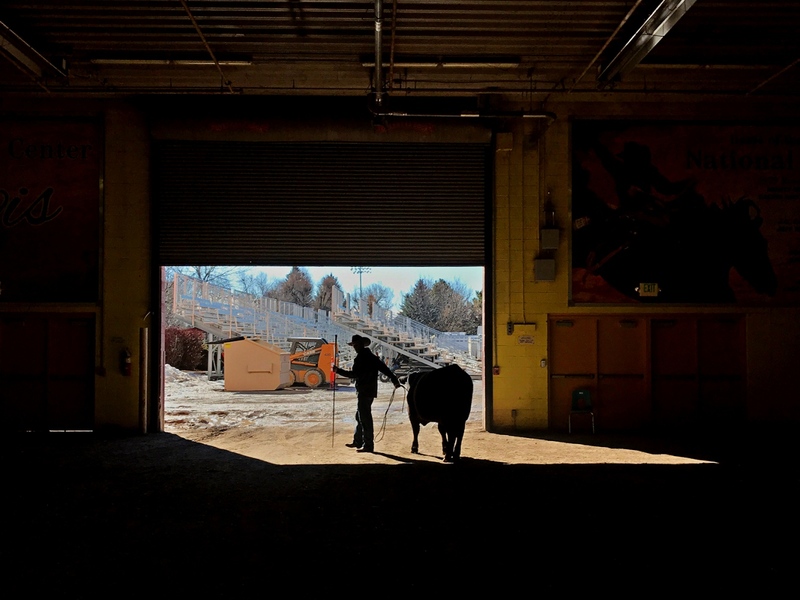 Silhouette of a rancher at a cattle auction in Twin Falls, Idaho. Celestin dries the teats of the cows between milking during his night shift. Celestin’s wife, Alfonsine, hangs the family’s laundry. 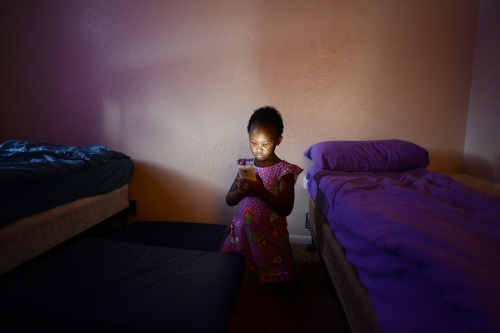 Joyce, Celestin’s 5-year-old daughter, flips through photos on her father’s phone. A cow birthing at Si-Ellen Farms. Zeze Rwasama in his office at the Refugee Center. 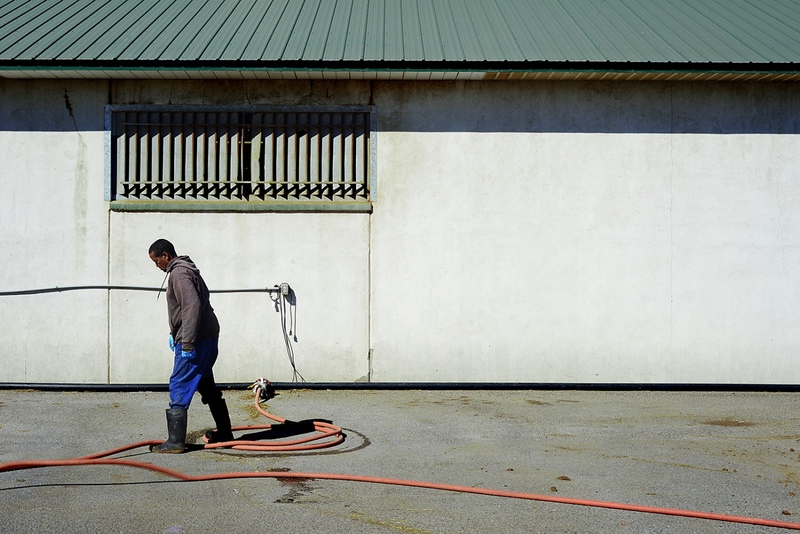 Semhar Tesfay puts on boots before her shift milking cows. 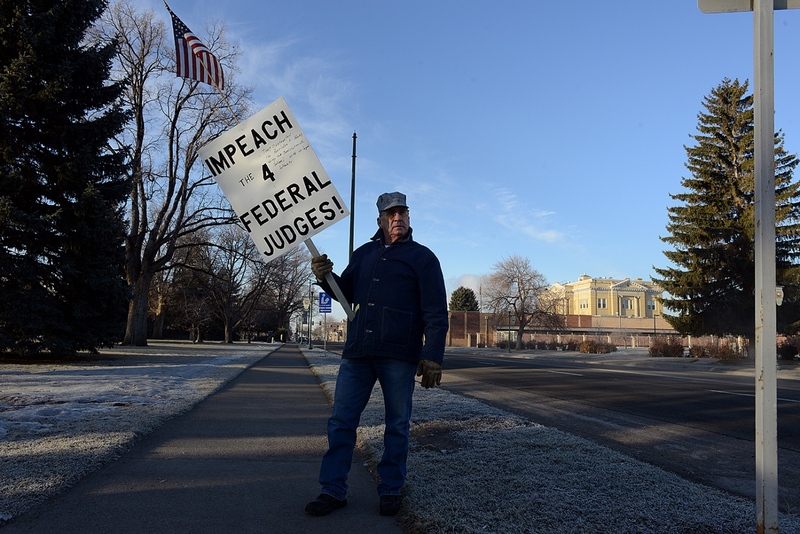 Ronald Posey protests across the street from the county courthouse. Mudather Geddo Giro and his friend try out the beds in the Giros’ new apartment. 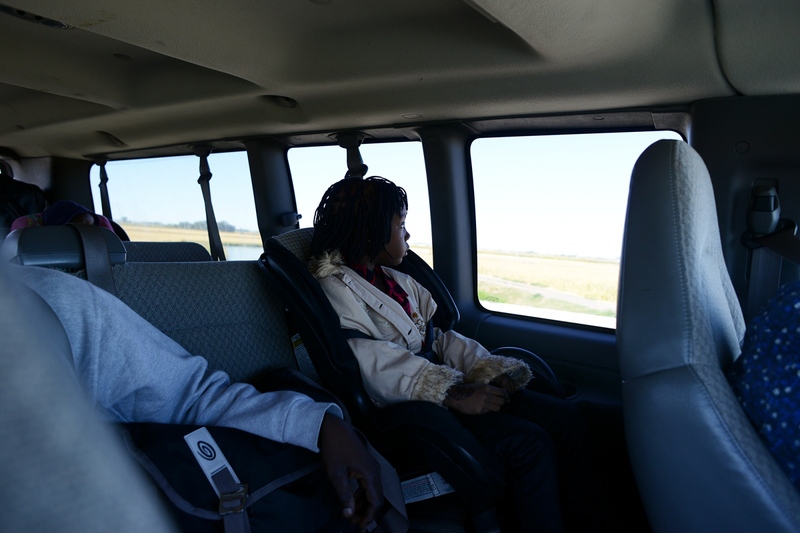 Laila Giro looks out the window of the Refugee Center’s van after arriving in Twin Falls. 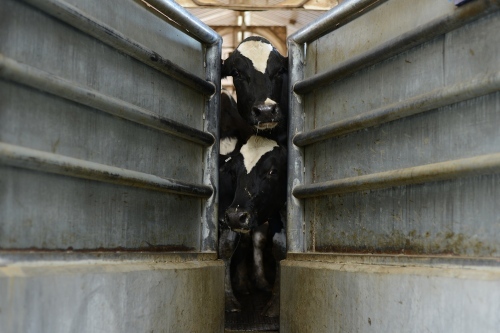 Cows waiting to be milked. 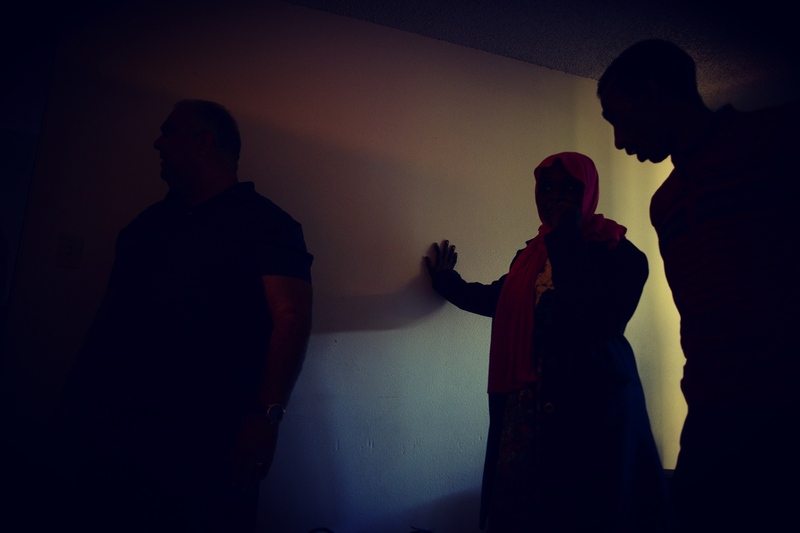 Adila Giro enters the CSI Refugee Resettlement Program van. The Twin Falls center boasts the a fleet of 13 vans.The federally funded program provides 6-8 months of transitional support for refugees including housing, social services and benefits such as ESL classes, food stamps, work placement, even a community mentor program. Then they are on their own, even paying back the ticket that brought them to the US. 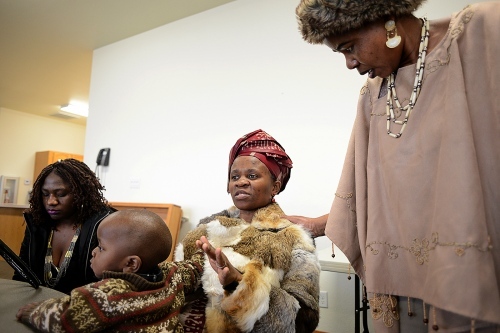 Adila Giro just a couple hours after their arrival in Twin Falls. Mudather Geddo, 5, plays with a toy truck at his new home in Twin Falls, Idaho, after arriving from Cairo. 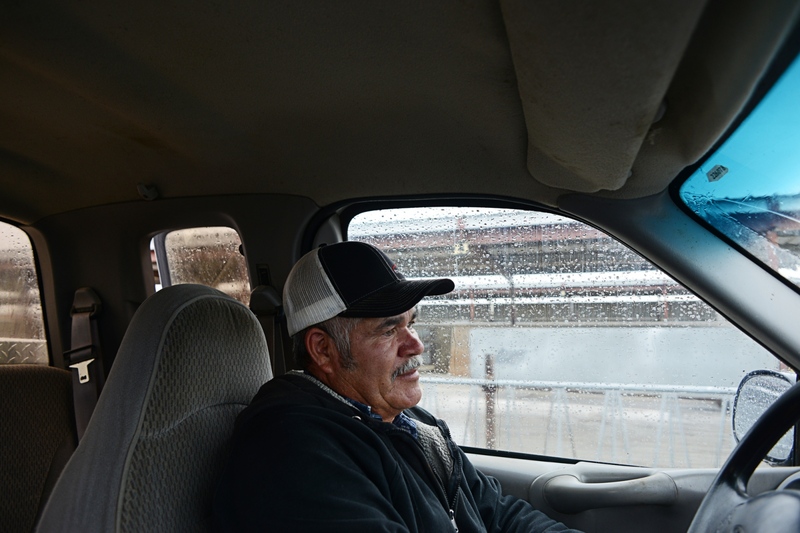 Mr. Fregoso drives through the dairy farm he has worked on since the 1990s. “When I first moved to Jerome [Idaho]," Juan Fregoso, 59, says, "it was a small town. They would look at me like I was a wild animal on the street. But I’ve lived a third of my life here. I love it. Humor has been essential. I’ve never missed a day to sickness. I hope they appreciate that when I go. Because it’s not just a job." "Without each other? What are we?" he says, holding out his hands. "We need each other. 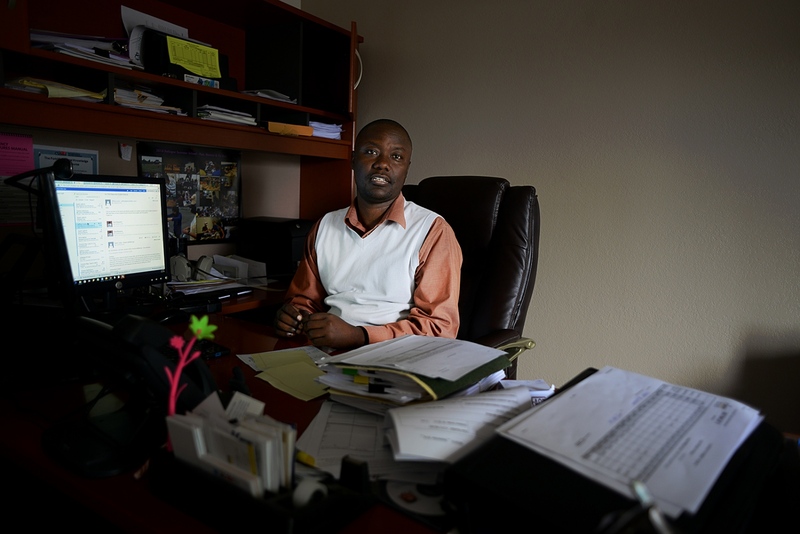 "I am Mexican first," Mr. Fregoso says, "but I feel no security in Mexico. My heart’s still down there. I support both lives [in Mexico and the USA]." Juan Fregoso on the farm he has worked on since the 1990s as a self-described "cow whisperer". Alfonsine and Celestin on their way to pick up their children. 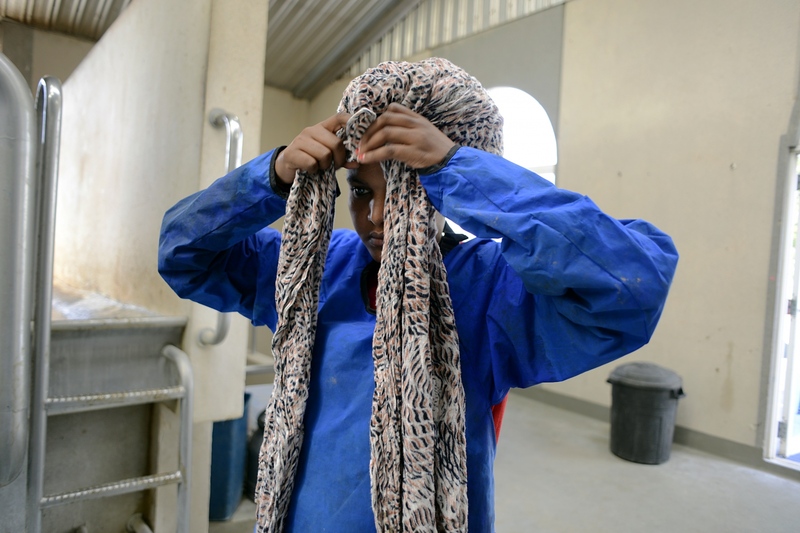 Semhar wraps a head scarf around her hair for protection while milking cows. 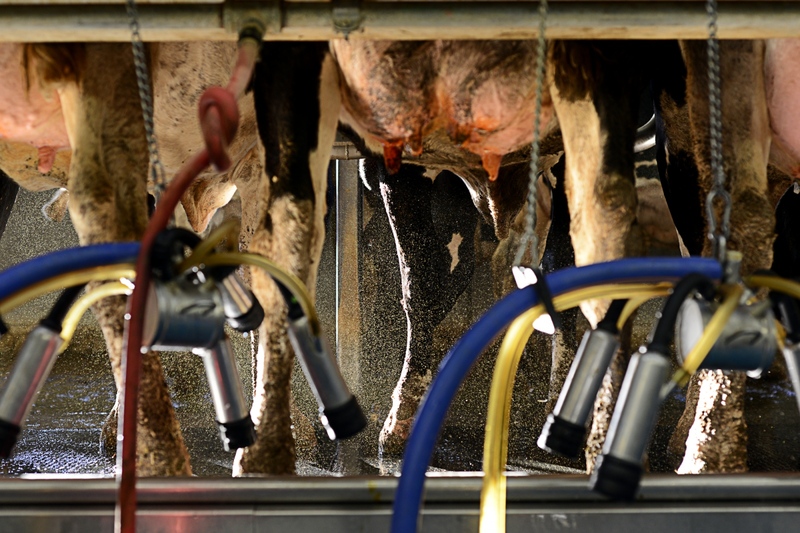 Hosing down cows during the milking process. Juan Fregoso, 59, drives through the dairy farm he has worked on since the 1990s. 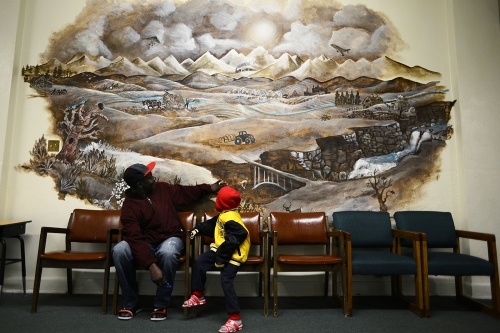 “When I first moved to Jerome [Idaho]," Mr. Fregoso says, "it was a small town. They would look at me like I was a wild animal on the street. But I’ve lived a third of my life here. I love it. Humor has been essential. I’ve never missed a day to sickness. I hope they appreciate that when I go. Because it’s not just a job." 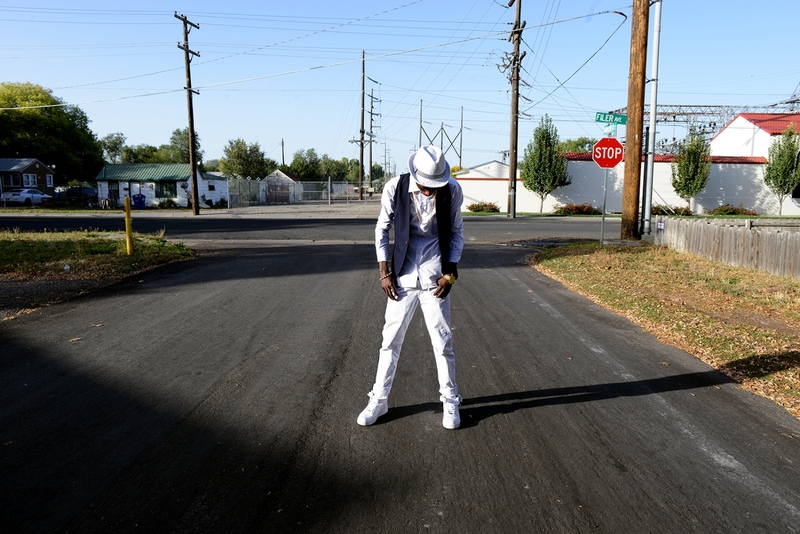 Nzitonda outside his family's apartment in Twin Falls, Idaho. 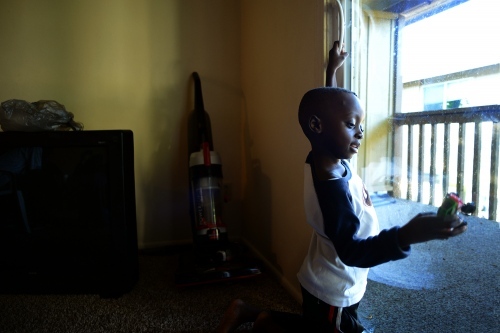 Kasereka Kanduki sits in his room, a mattress on the floor in hallway, which he shares with Pascal's family. 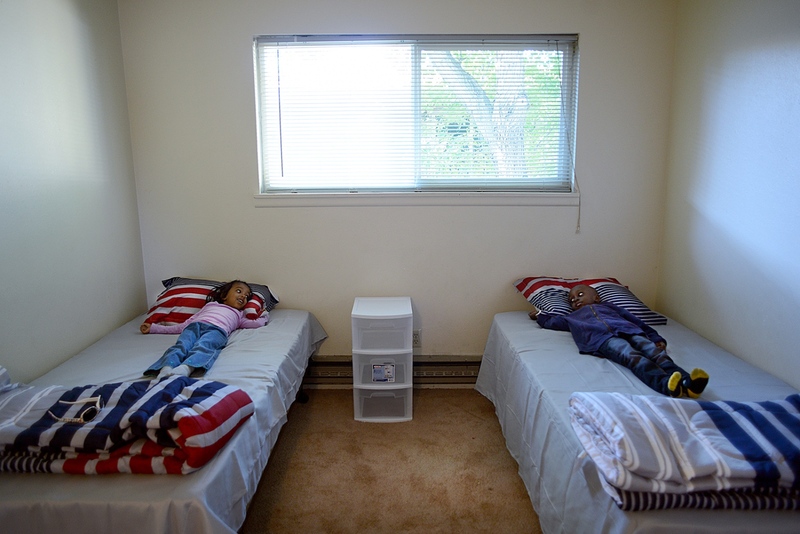 The Giro family in their new apartment in Twin Falls, Idaho.